If you’re looking to take the plunge and learn the craft of scuba diving, this is the perfect trip for you. Over the span of 3 days, certified instructors will teach you the skills needed to properly handle scuba equipment and dive head first to explore the ocean floor. Along with active classroom sessions, you’ll begin with confined water diving in the safety of a swimming pool. When you’re comfortable, you’ll head out to the beautiful Bali Sea and undertake 4 open water dives that take you 60 feet deep and last for 45 minutes each. Upon successful completion, you’ll be certified as a PADI Open Water Diver. With coral reefs decorating the sea floor and teeming marine life swimming the deep underwater, the dive spots around Nusa Islands are irresistible to budding scuba divers. Divers are required to have prior experience in swimming to book this course. As part of the training, you’ll be expected to swim for 650 feet and float of 10 minutes. 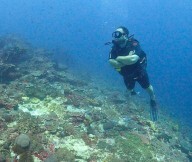 • Learn proper diving skills on this PADI Open Water Diving course in Bali. • Undertake 4 open water dives as deep as 60-feet for 45 minutes each. • Get certified as a PADI Open Water Diver. 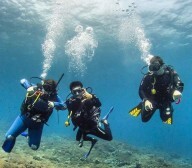 Divers are required to adhere to the instructions of the dive instructor during this scuba diving course in Bali. For cancellations made less than 7 days before start date of the PADI Open Water Diving course in Bali: No refund. For cancellations made 7-14 days before start date of the PADI Open Water Diving course in Bali: 50% refund. For cancellations made more than 14 days before start date of the PADI Open Water Diving course in Bali: Full refund. The tour operator reserves the right to change or cancel the itinerary of this scuba diving course in Bali due to bad weather conditions or other unforeseen circumstances to ensure maximum safety of divers and staff. Arrive at the dive centre in Nusa Lembongan by 07:00 hrs. Here, you'll meet your diving instructor who will conduct theory lessons to teach you the basics of dive techniques. After 5 knowledge development sessions, you'll jump into the training pool to get acquainted with the diving equipment. Undertake a few confined water dives in the swimming pool in preparation of the open water dives. Your instructor will guide and teach you at every step of the process. End your session by late afternoon and spend the rest of the day at leisure. Dive as deep as 60 feet under the Bali Sea. Arrive at the dive centre by 07:00 hrs and suit up with your scuba equipment. You'll have a few more lessons in the swimming pool to learn the basics of scuba diving like navigating and breathing underwater. After completing a few more confined water dives in the pool, you'll head out on a ferry/boat to the various dive spots around Nusa Islands. Embark on 2 open water dives lasting for 45 minutes each and swim to a depth of 60 feet. Explore the Bali Sea floor during the underwater dives and end your session by evening. Return to the dive centre and spend the rest of the day at leisure. Lively corals teeming with a variety of marine life. Arrive at the dive centre by 07:00 hrs and head out for another round of open water dives. 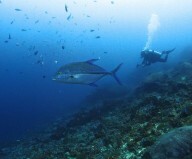 Full of exotic marine life, the Bali Sea around the Nusa Islands are dotted with multiple dive spots. You'll travel to these dive spots via a ferry/boat and undertake 2 open water dives lasting for 45 minutes each and swim to a depth of 60 feet. Return to the dive centre and complete the paperwork for your certification. Your trip ends here. No accommodation is provided throughout the trip. You'll be provided with a light, packed lunch and snacks in the afternoon. No accommodation is provided throughout the trip. You'll be provided with a light, packed lunch and snacks served during the ferry/boat transfer to the dive spots.